One of the most important components of your website is the checkout page. There are a number of variables that can influence how many sales you get, including your page’s layout. How to design a cleaner Woocommerce checkout page that sells, you simply need to add a little bit of CSS. First, make sure your theme has a section to place custom CSS. You can place the custom CSS on either the checkout page, the custom CSS section for your theme, or a child theme stylesheet. Let’s begin by adjusting the Paypal text margin to fit a little better for after we change the layout. I know this adjustment seems subtle but it makes a major difference when all is said and done. Next, this CSS snippet will modify the borders, padding, and alignment of the “Your Order” section. 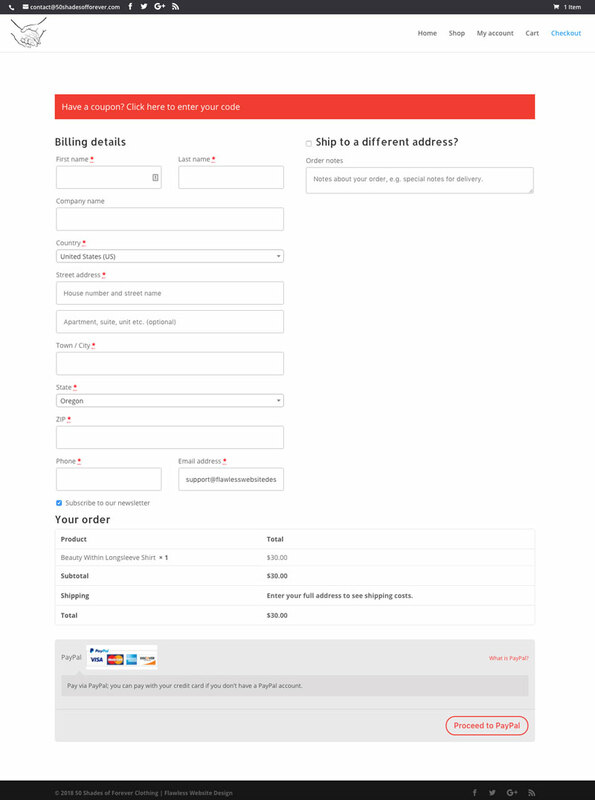 Modifying the “Place Order” button to be full-width to it’s container. A slight adjustment to the smaller form fields that don’t quite fit as well as we’d like. 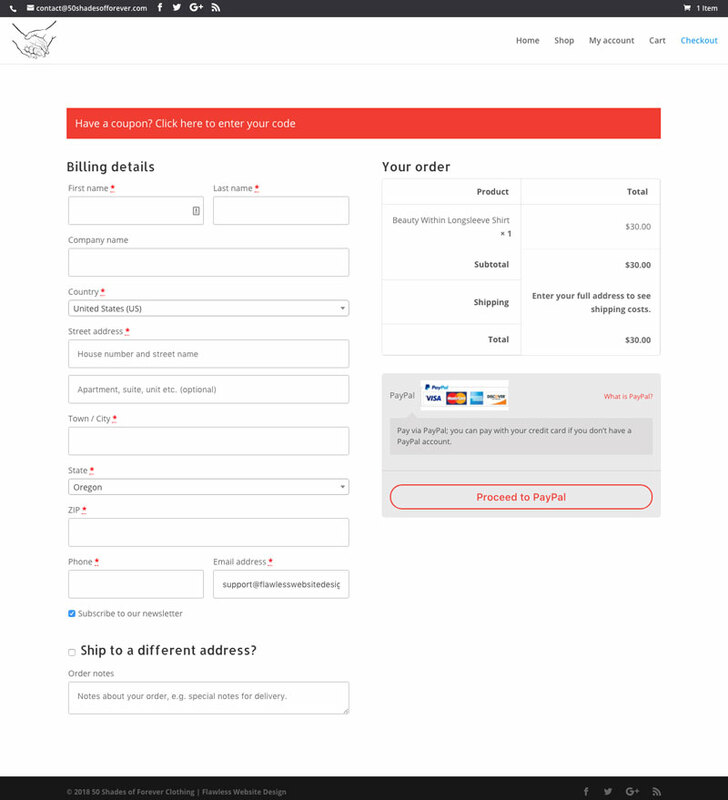 Now, we’ll get rid of that big blank space by moving the “Ship to a different address” section below the “Billing” details and shifting the “Your Order” section up to the right side of the page. The last CSS snippet we’re going to add will be making sure that the form is responsive and fits well on mobile devices. Without adding this code, the checkout page will look squished all together on smaller devices. Always make sure that your mobile visitors have a clean checkout experience. For this example, we’re customizing the checkout field for a clothing company and my client does not collect some of the information prompted on the checkout fields. (I.e., Company Name). You can simply add this code to your child theme’s functions.php file to remove the Company Name field. Here are the fields that you can remove. Just add any line of code you need above the “return $fields;” line to the code above. Do you need your woocommerce checkout page customized? The default woocommerce checkout page is cool and all, but having a custom checkout funnel that converts more than the standard woocommerce layout should be considered.